If the things you’re putting in storage don’t matter to you, then in almost doesn’t matter where they end up. But if these are items that you are going to pull from throughout the year, then you definitely want to rent a unit that is close by your home. The facility should also be accommodating to your hours. A place that has access 24 hours obviously is the best for anyone’s schedule. However, you want to make sure that their security measures are as strong as possible. It would be easy to check their break-in record. Your pick of storage unit could be greatly impacted by the environment. If this is a unit that is outside like a garage, then it might be susceptible to flooding. That’s not just from a heavy rainstorm but from melting snow. There are some storage units that are environmentally controlled. They are cool in the summer and warm in the winter. Because your storage units aren’t vacuum-sealed, pests and rodents might target your items. It’s not something you want to think about but you should definitely ask about pest control services. Obviously, you don’t want anyone breaking into the storage facility to steal your stuff. But that’s not the only potential dangers you need to be aware of. There could be a fire or roof collapse. Some renter’s insurance or homeowner’s policies covers storage unit property. If not, then you might want to consider the type of insurance offered at the facility itself. You need to organize what you put into your storage unit so that you have easy access. If you can create rows of boxes, then that is the best approach. At the very least, you should number each box and have a corresponding inventory list. That will keep you from opening boxes looking for things that are important. 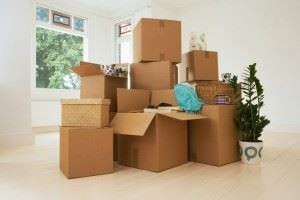 It is equally important not to pack clutter. You don’t want to pay for storage unit just to hold a lot of junk that you would throw out anyway. As you sort to the things you’re going to put in your storage unit you may want to bring in Junk King Minneapolis. These are the junk removal professionals who can help haul away all your unwanted rubbish. One session with Junk King Minneapolis is all it would take for you to get your storage unit organized. This entry was posted in Minneapolis Junk Removal and tagged clutter, Junk King Minneapolis, junk removal, storage unit on July 25, 2017 by Junk King. Last updated July 25, 2017 .